The original is available and was created in pen, ink and acrylics on 24 x 30 gallery wrapped canvas suitable for framing . 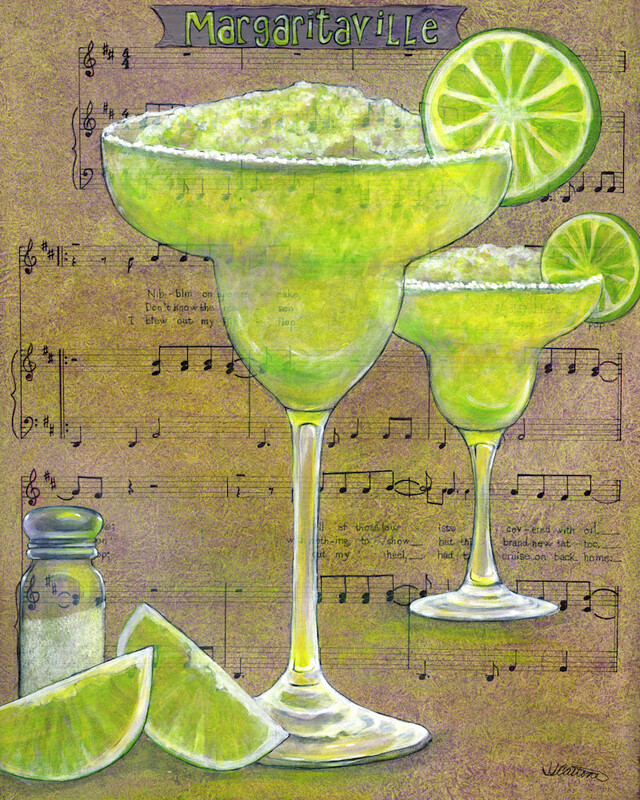 Margaritaville - Created just before we attended a Cinco de mayo party - this was the perfect accompaniment at the bar. 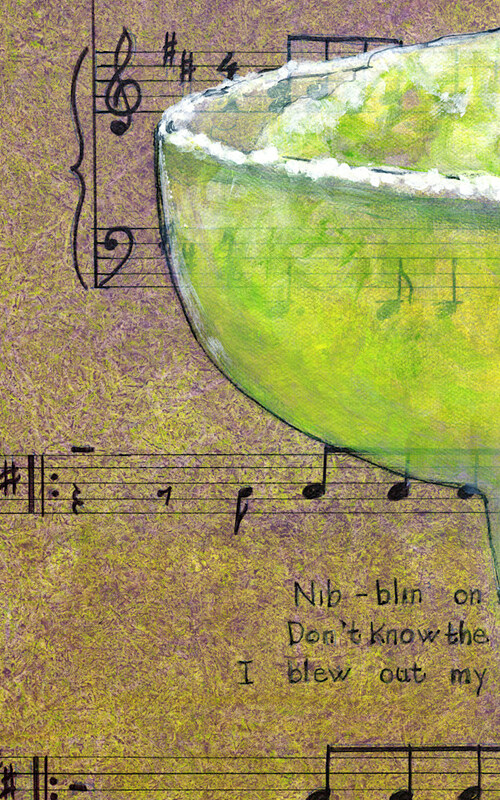 It features the lyrics and music to the song by Jimmy Buffet, peaking through the other elements.